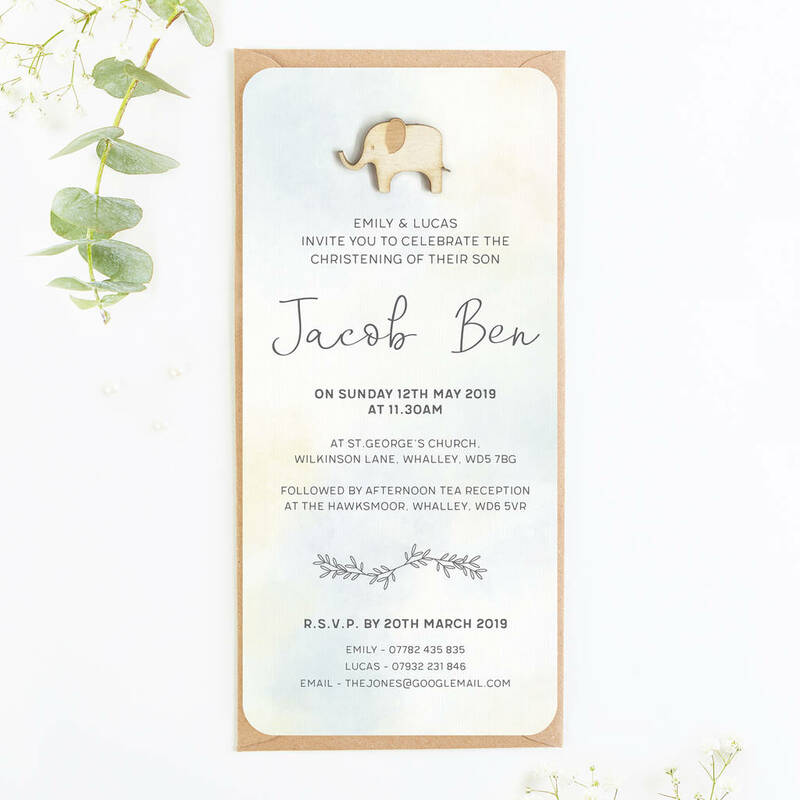 A beautiful watercolour invitation perfect for Christenings, Baptisms or Naming Days. 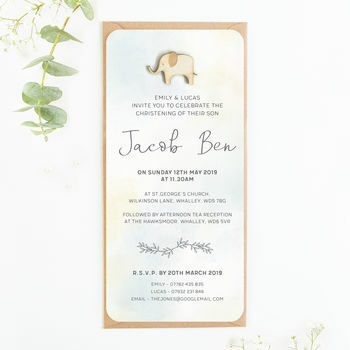 Soft blue, mint and lemon colours create a watercolour base with a cute laser cut wooden elephant hand applied at the top of the invite. The important details are printed in a capital font whilst your child's name features in handwritten style. 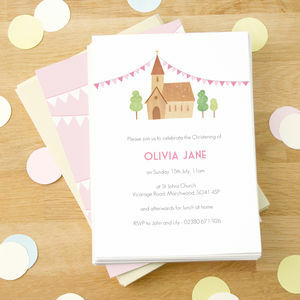 Each invitation has rounded corners and the watercolour colour is printed on the reverse as standard. These beautiful invitations are perfect for inviting your family & friends to celebrate your child's Christening. 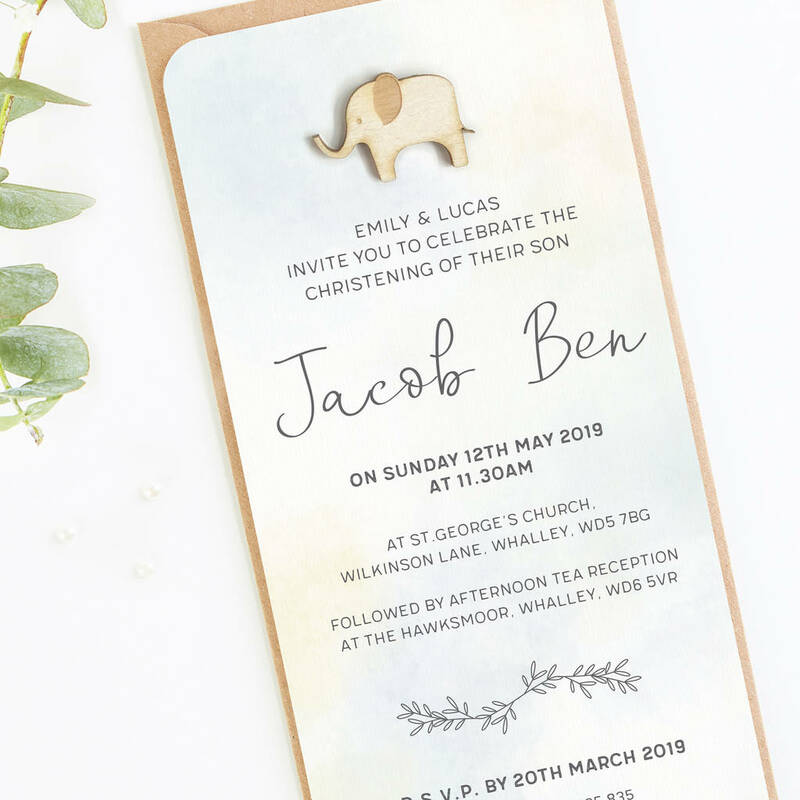 We can change the wording so that they are suitable for a naming day invitation or baptism invitation too, just let us know your requirements with your wording! Matching envelope stickers are perfect to make your invitations extra special. If you require further information printed on the reverse side please select this option with your order. Matching invitations available. 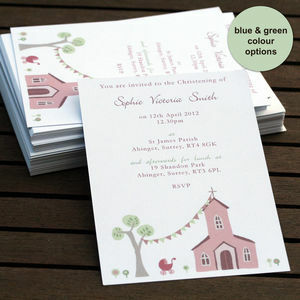 The card stock is a white 280gsm textured base. 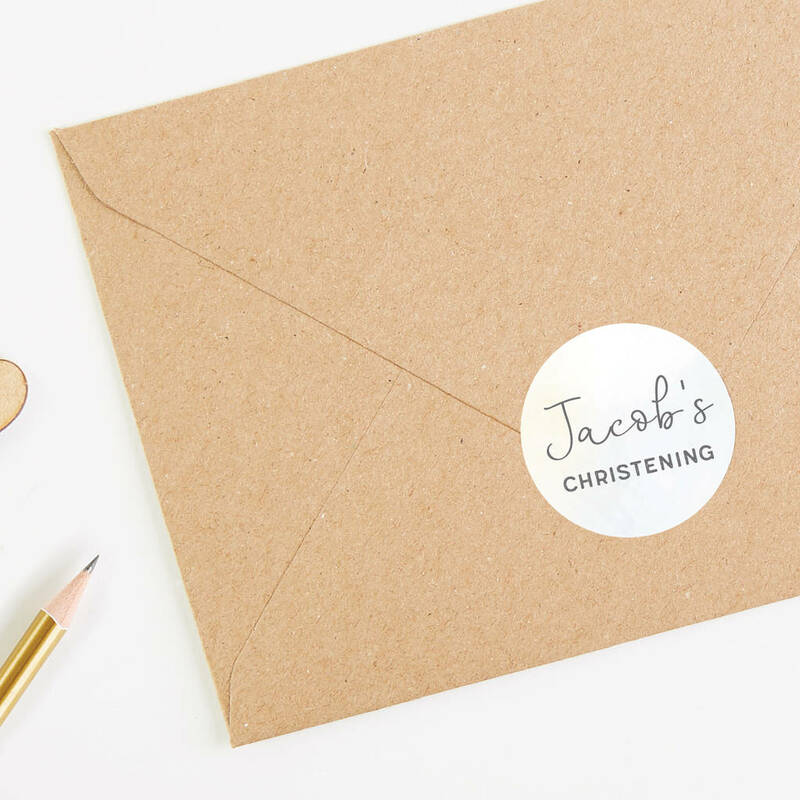 The envelopes are a rustic kraft colour.